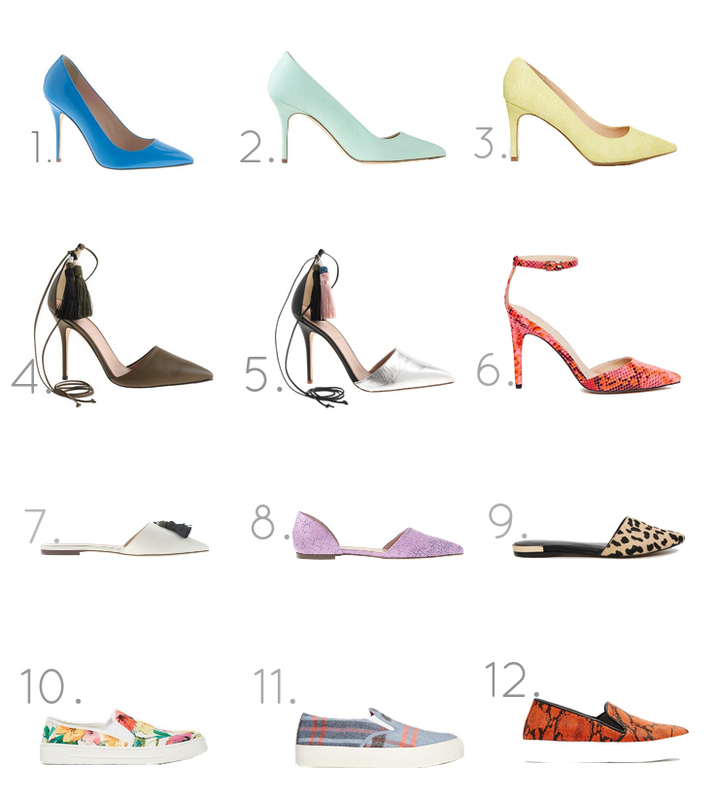 Because I can't stay away for too long from online shopping, here it is a new list with favorite shoes for Spring. From heels to flats, plain or patterned... all are great for future sunny days #SpringHurryUp! Have a wonderful weekend ladies and Happy International Women's Day (tomorrow)! Lovely selection! I love the pumps for sure. And btw, I’m wearing a pair very similar to the blue pumps in my newest post. They are Gianvito Rossi and I really love them because they are perfect for all year round. I love the silhouettes and colors! Definitely come contenders here! Happy Women’s Day!